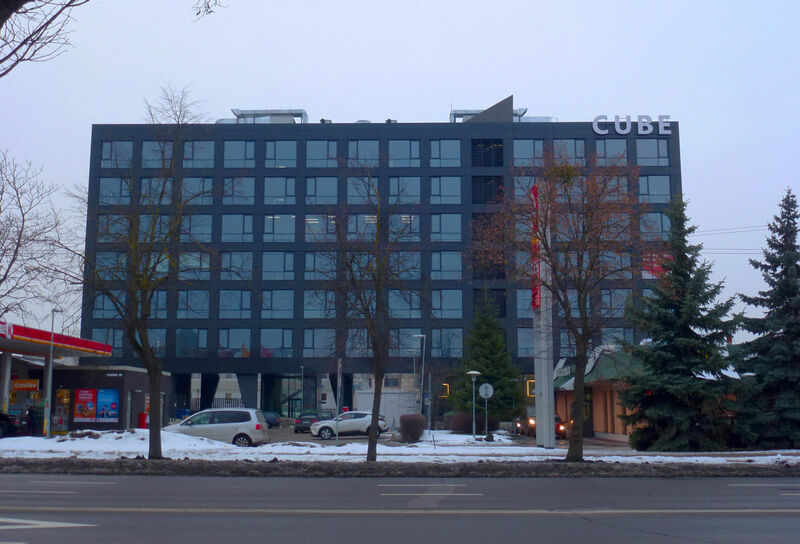 CUBE Business Center is located in one of the main arteries of the city - Savanoriai avenue. The cube-shaped building is raised on 5.5-meter-high columns, creating a location for an ergonomical car parking and bicycle storage. Such decision was made to make sure that natural sun light would cover all offices, even on the ground floor. All electricity used in the Class A business center comes from renewable energy sources. Each floor of the office is planned according to the needs of the company that is working there, and staff can relax in the park nearby. 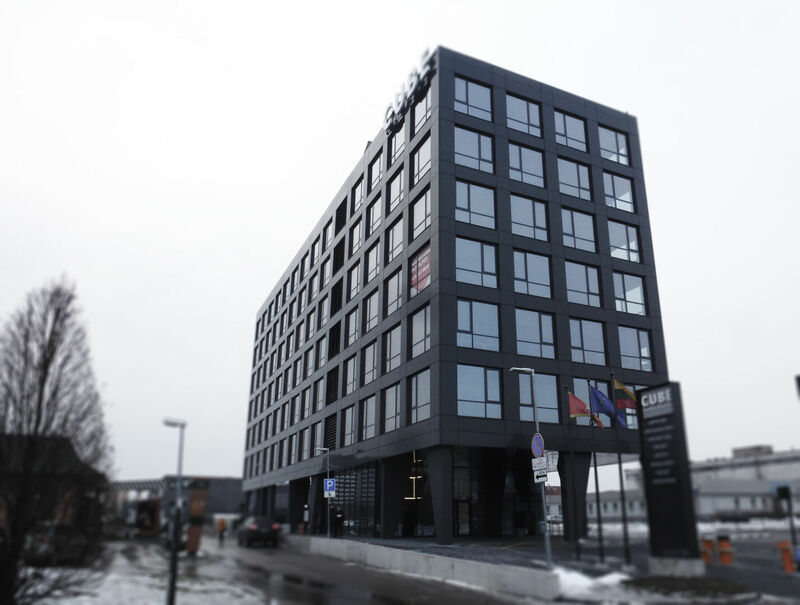 In this business center many Peikko solutions where used including DELTABEAM®, PSB® Punching Reinforcement, precast connections, and WELDA® Anchor Plates. 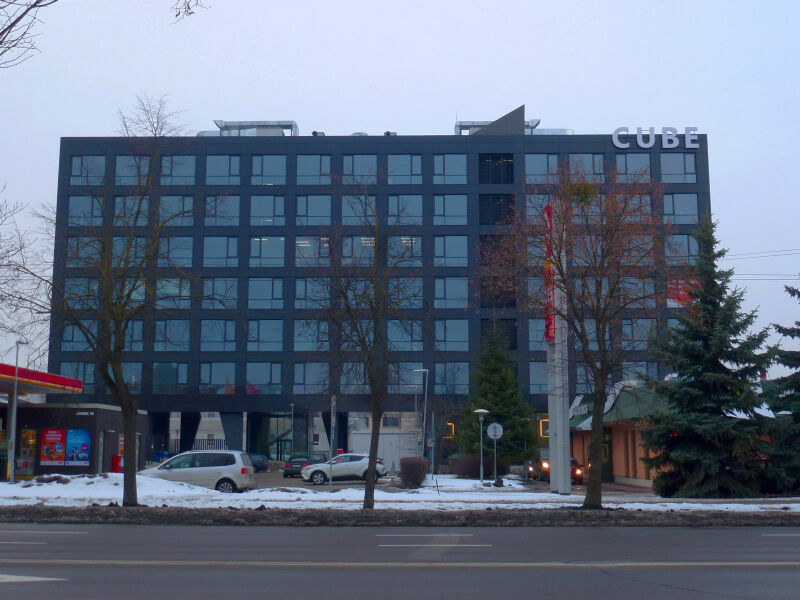 UAB "Architektų biuras Natkevičius ir partneriai"